Small and medium-sized enterprises (SME) may be small, but they are very powerful and of great importance for the economy. The number of SMEs counts to 21.2 million in Europe or almost 67% of total employment and as many as 99.8% of all enterprises in the non-financial business sector. The knowledge, skills and abilities to handle IT systems have become an indispensable asset and success factor. 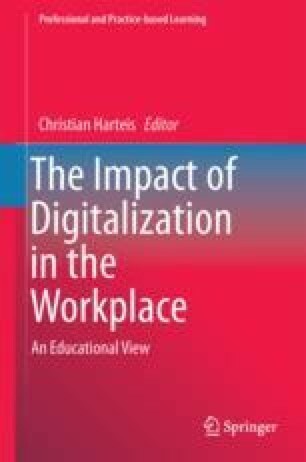 Despite of the importance of IT in SMEs, the exploitation is not sufficient, as a result of skills and competence deficits within the workforce. This applies to companies of all sizes, although SMEs are known to be slower than large ones to adopt new information technologies. On the other hand, SMEs could benefit much more from using IT, but barriers and challenges in areas of management skills, technological capabilities and productivity hold them back instead of securing innovation, growth and profitability. The lack of qualified IT workforce therefore is a major problem in this context. In order to get an overview, an up-to-date analysis of scientific studies will be conducted and systematic approaches to these problems identified. The goal is the derivation of concepts for SMEs that could enable them to manage their specific challenges in a highly competitive environment.